uMkhumbane Cultural Place,will define a significant sense of place which celebrates resilience of life, growth, and the transition of a community within the city of Durban. 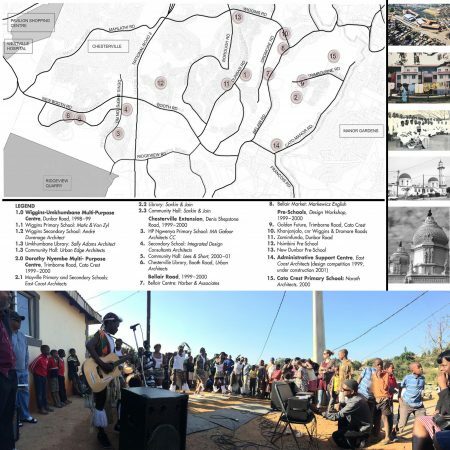 The uMkhumbane Cultural Place is the beginning of an urban strategy stretching across Cato Manor. As part of a master plan, the Vertical Museum and Queen’s Memorial draw on Zulu emblems in contemporary architectural expressions, creating powerful spaces that elevate culture. The site as an urban device,provides a convergence point for present-day Umkhumbane Culture and its commemorated history. Using principles of regeneration and contemporary technology, the node becomes a catalyst for the co-creation of this urban community. The Cato Manor Township, approximately 7 kilometres from Durban’s CBD , remains characterised by a high unemployment rate and social fragmentation. At the same time, residents are increasingly taking initiative in the development of the area and there is a high level of community organisation, citizen action and participation. The CMDA, eThekwini Municipality, the Local History Museum and various specialists together with the architects held workshops, conducted historical research and compiled documents on the narrative of uMkhumbane and existing cultural and historical nodes in the area. 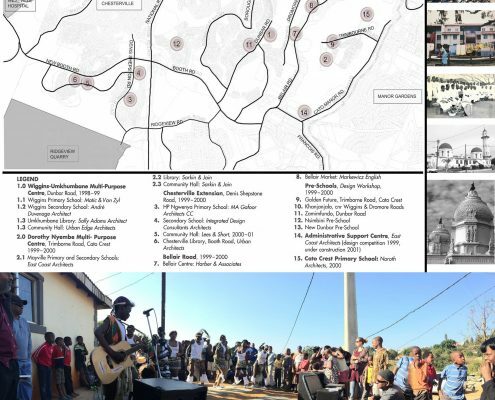 This collective undertaking helped form a holistic understanding of the context of the place, the history being commemorated and the existing culture and opportunities for activation in the cultural museum of living history. Online research and onsite visits to various galleries across the world was done to establish precedent of urban projects that actively transform the status quo of historically marginalized, under-serviced areas. This research provided insight to urban models which successfully embrace contemporary methods to address a degenerate urban environment.